Finding that right gift for your dear friend who has just entered motherhood might be a bit of a challenge. The market is generous when it comes to gifts for moms yet its rich offer might be time-consuming. That’s why we’ve gathered a list of products that would trigger that smile you’re after. Check it for more information on cool gadgets for moms, ideas for an excellent baby carrier for her little one, and much more. If you know your friend or partner to become a mom is very much into committing her thoughts to paper, this diary from Chronicle Books might be just what you need. Designed to encourage moms to capture their precious moments in words, this memory book provides enough space to record a thought or a quote a day for five years. The diary is thus a memory collector, a museum of your most profound and special feelings, thoughts, and events you get to experience with your family. It makes a great addition to your own library if you’re a mom or a great gift for a friend. If you’re on the lookout for a cool gift to celebrate this year’s Mother’s Day, this funny baby bodysuit from Tstars is definitely an option to consider. Whether it’s for your newly born baby or for a friend’s, this funny bodysuit will make everyone smile while adding to your little one’s cuteness. The product is made from 100% combed-cotton (preshrunk) featuring expandable shoulders. It is easy to put on and take off thanks to its three-snap closure at the bottom. It is machine-washable for easy care and it comes in a variety of colors and sizes to suit many needs and preferences. Motherhood is peerless, that’s for sure, yet it might become a bit exhausting and stress might reach unsatisfying levels at times. That’s what made Papeterie Bleu create this coloring book for moms. Perfect to put stress on hold and spend some time with your creative self, this anti-stress coloring book is a great getaway when your little ones are asleep or immersed in some new cartoons. The book is perfect for all coloring mediums. It features a premium matte finish cover design and a rich variety of humorous and realistic moments a mom’s life is about. Truth be told, motherhood might as well be seen as the time when you get addicted to coffee. Lots of energy is required to keep up with your little one’s endless vitality. At least, that’s what Grasslands Road had in mind when creating this New Mother Mug. Perfect for your morning coffee, evening tea or the in-between orange juice, this mug makes a great addition to any mom’s collection. It is also a great gift for a new mom or mother-to-be as it comes gift-boxed. The mug is dishwasher-safe and available in various colors. The moments you spend with your newly born are part of the most precious ones you get to experience. Adding comfort to those long walks with your baby is what Boba had in mind when creating this stylish wrap. Perfect to use from birth to around 18 months, this soft, stretchy wrap will allow you to venture the streets and world with your baby close. The wrap is free of buckles and straps, which makes it easy to use, put on, and take off. It enables breastfeeding no matter where you go. It is machine-washable and available in one-size-fits-all. Motherhood is the time when a mom lives and experiences a great variety of emotions. From being frightened to being ecstatic, a woman enters a new stage of her life when becoming a mom, one that proves to be rich in emotions of all sorts. Sarah Arthur created this book with all this in mind in an attempt to help mothers understand better all the things they experience. Written with one goal in mind, to remind mothers of God’s existence, ‘Mommy Time: 90 Devotions for New Moms’ is a book all new moms should resort to when having some free time. Because what you eat and how much water you drink are highly important things while pregnant and breastfeeding, this water tracker from Leboha is a must-have whether you are a mother-to-be or you’re already breastfeeding. This BPA-free water bottle will help you make sure you meet your daily water needs and maintain a healthy pregnancy. It is also perfect for your breastfeeding period as water plays a key role in lactation. The bottle uses a Tritan material, which makes it dishwasher safe as well as portable. It easily fits into any car water bottle holder. Those evenings of reading to your little one will be memories you will cherish forever. The picture book by Thrity Umrigar was designed to add to the beauty and warmth of such moments through a lyrical and playful text enhanced by delightful illustrations. The book celebrates the special bond between parents and children, especially the time when a baby is still housed inside mom’s belly as its name suggests it. “When I Carried You in My Belly” is also a great way of getting your little one used to your voice and making your unique connection even stronger. A must-have gadget for a new mom or mom-to-be, this breast pump from Spectra was designed to make a mom’s life easier while helping her with her baby’s feeding needs. The pump can be customized to meet a mom’s body response and flow due to the digital controls it features. Thanks to the S2 closed system, the pump ensures a perfect hygiene by keeping bacteria, mold, and viruses away from the baby and the breast milk. The pump provides a maximum suction strength of 250mmHg and can be used both as a single or double pump. The materials it is made from are BPA/DEHP-free. 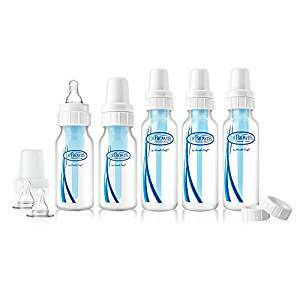 This set of baby feeding bottles from Dr. Brown was created to help your little one enjoy happy feeding. Appreciated for reducing various problems such as colic, gas, and burping, these feeding bottles make use of a 2-piece internal vent system that will improve your baby’s comfort and feeding experience. The built-in vent system prevents the ingestion of air bubbles and oxidation as the air is not allowed to mix with the breast milk or formula used. Moreover, the system will help reduce fluid in the ear by preventing the development of the vacuum. The materials used are BPA, PVC, lead, and phthalate-free. Is one of your friends a new mom and you have no idea what to get her? 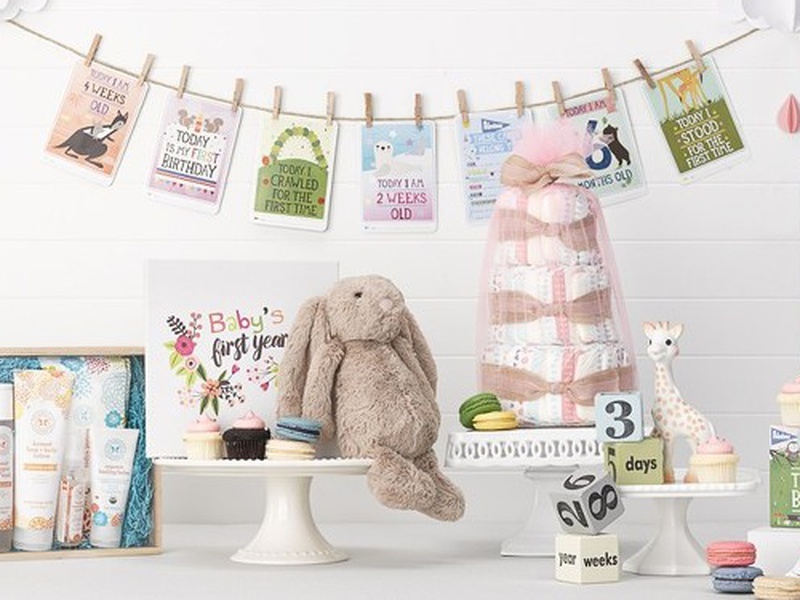 Your mind may immediately travel towards baby-oriented gifts, but, let’s face it, she probably got a ton of those during the baby shower. Now it is time for you to focus on the mom, not on the child, and show her how important she is. There are plenty of cool mom gifts to consider on the market, but the choice may be difficult. Where should you start? What are the new mom’s preferences? What is she missing most right now? These are all-important questions to find answers for before reaching for your wallet. Especially if you are shopping for a gift on a budget, the choice may not be easy. We know that not everyone can afford to splurge on gifts, no matter how much they wish. That is why we want to offer you the best ally you can have in these moments: the right information for getting the right gift for your friend. You don’t have to spend time and money trying to get the perfect gift. We already sought the best gifts for new parents, and we have the means to help you out. See the guidelines below and use them to identify an excellent gift for your friend. This is our comprehensive buying guide on the best gifts for new moms you can find right now. If you heed the advice offered here, you will not be able to go wrong. Your friend will surely appreciate your thoughtfulness, and you will be satisfied knowing that you offered a gift that will be used. The new mom is now in dire need of more relaxation and TLC. The baby has arrived, and now she needs to take a little more care of herself, too. Of course, that is easier said than done, for the sole reason that the little one now is the center of her care and affection. While the new mom is busy with the baby, that means that those around her can help her by offering her what she needs most. And that brings us to the first recommendation we want to make. The new mom needs to be able to relax, and rest plenty. Think of gifts that are TLC-oriented. A pair of fluffy sleepers will help her tired feet relax after a long day. A new cream to rejuvenate her skin would be just as nice a gift. If you look around for a bit, you will find many such items for sale. While they may not scream that they are for a new mom from the top of their lungs, they are ideal gifts. If the mom can leave home, you can even think about offering her a beauty treatment or a massage at a local spa. Your gift will surely be appreciated. We have already talked about how a mom’s life can get kind of busy and hectic when a newborn arrives. That means that she could use a lot of help and that help can come in various shapes. For instance, it is ideal to think of a gift that could make her life easier. Reflect on some kitchen gadgets for mom that will allow her to cook meals for her family or her little one – once they start eating solid food – promptly, and with little effort. There are so many things to include here. For instance, a diaper changer is the type of gift that will put a smile on her face. Do not limit your choice for a gift only to items that are focused on household chores, though. Your friend’s hobbies are important; maybe a new set of knitting needles may be just what she needs to start knitting again, an activity you know she loves. As long as your gift is related to what she likes best, you will not be able to do wrong by her. A new mom could use something that will make her look beautiful. Any jewelry is a good idea, but do not forget that new moms are also keener on finding things more interesting the more useful they are. A tote bag where she can keep all her necessities close by while walking the baby in the park is an excellent idea. It will make her feel chic and, at the same time, it will offer her a lot of storage space for all the things she needs to carry along on any trip outside with the little one. As long as you will be able to combine style and practicality, you will not be able to go wrong. From clothing items and things she can use for her, as well as for her baby, such as a scarf that can be quickly turned into a nursing poncho, there are plenty of possibilities to experience with. Stores are filled with Mother’s Day gifts when that particular occasion is around the corner. But you do not have to wait until then to show your appreciation towards your friend. Nonetheless, such stores that offer specialized gifts for moms can be a great place to start. These gifts are often created to celebrate motherhood, which is the same thing you want to do for your friend. 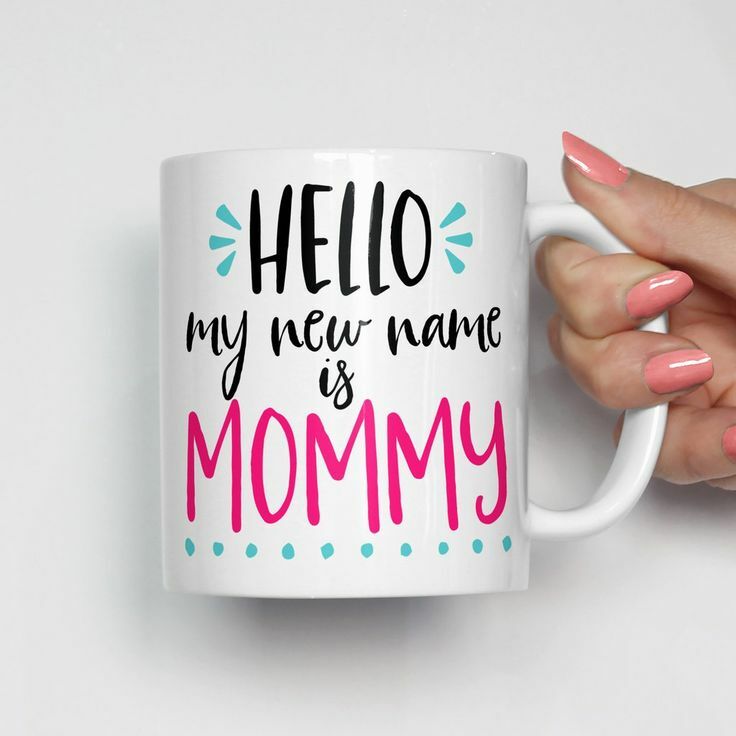 A commemorative item, a new funny mug that announces to the world that a new mom is ready to start the day on the right foot, any art piece that celebrates this remarkable occasion, are all interesting choices. Many of the mom gift reviews you can read online will tell you that you need to show your love most and foremost. Your gift needs to be thoughtful, and that is where you should start. If you know your friend well and you have an inkling about what they would like, that’s even better. Managing to fulfill a need will put you on top of the list for best friends.